More winners are hitting table game jackpots, even more often at Red Hawk Casino. 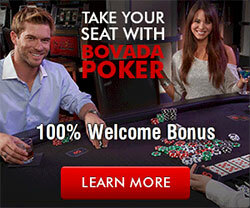 Red Hawk Casino offers a $1 Pai Gow Progressive side bet, the lowest in Northern California. A lucky winner placed the small side bet that resulted in a $209,494 Fortune Pai Gow Poker progressive jackpot this weekend. Alexa, from Dublin, Calif., was in town for the opening race at the Placerville Speedway - Red Hawk Casino and the Shingle Springs Band of Miwok Indians are the 2015 title sponsors of the Placerville Speedway. She stopped into the casino after the races to try her luck at Fortune Pai Gow Poker. She had been playing for just a short time and was thrilled when she was dealt a seven card, straight flush with a joker. Because Alexa placed the small $1 side-bet, she won 100% of the progressive payout, $209,494. When asked what she planned to do with her winnings, Alexa said she would be putting the windfall into savings for college. "It's always exciting to see so many players, winning even more jackpots," says Bryan deLugo, general manager. "Red Hawk offers a large variety of table games and slots, along with first-class customer service, proving once again why we are voted Sacramento's �Best Casino' over and over again." The Fortune Pai Gow Poker Progressive� allows players to make a $1 progressive bet to be eligible to win a progressive jackpot. A player who places the progressive bet, and is dealt five aces, wins 10% of the progressive jackpot. The top hand in the game, a seven-card straight flush, pays 100% of the jackpot.